“`The history of Horror genre has roots prior to the Studio Era of Hollywood. Silent movies are filled with cinematic classics (The Cabinet of Dr. Caligari, The Phantom of the Opera, and The Hunchback of Notre Dame, come to mind); and made genuine stars out of actors, such as Lon Chaney and Conrad Veidt. 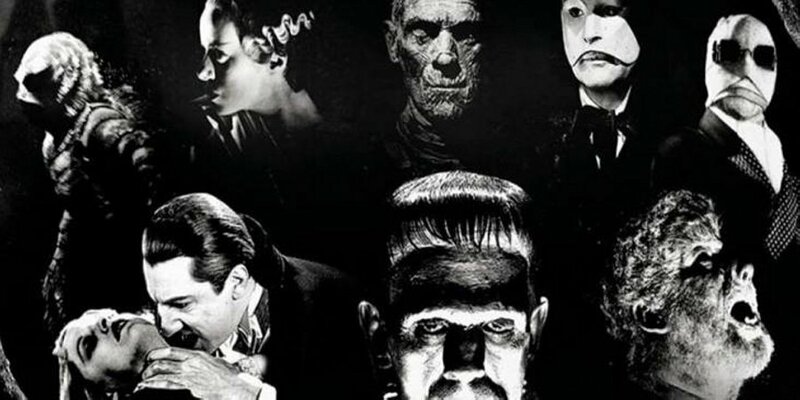 “`Universal Studios provided vivid films of the genre, including Dracula, Frankenstein, The Invisible Man, The Mummy, The Wolfman, among others. King Kong became an instant classic in 1933. Paramount Pictures produced the definitive version of Dr. Jekyll and Mr. Hyde. “`October is a perfect month to examine the psyche of nefarious behavior. I humbly offer three iconic examples of scripted characters so vile, and absent of any redeeming qualities. They are the best visualization during Hollywood’s Golden Age of hideous human beings that explode on the screen. “`Let us consider Lonesome Rhodes from A Face in the Crowd, or Jack Ripper from Dr. Strangelove. But, crime-for-crime sake is not part of their internal makeup. Cody Jarrett from White Heat is a worthy honorable mention in my written examination. A conclusion culminating in the ignition of a massively fatal detonation, content to kill law enforcement officers chasing him, is quite over-the-top. However, Jarrett reacts in murderous ways; he won’t initiate the instinct. In my estimation, it’s James Cagney’s defining performance. 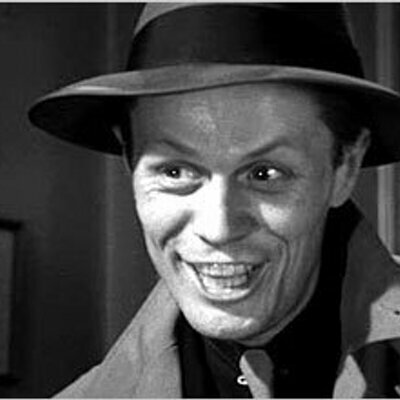 ~ TOMMY UDO / KISS OF DEATH – Richard Widmark’s screen debut earned him an Oscar nod. Like Cody Jarrett, he is a malignant gangster. Unlike Jarrett, Udo will attack character’s that get in his way for the sheer joy of the process. The prescient scene earning Udo a place on the list: Shackling of a squealer’s wheel-chair bound mom, and then, pushing her down a staircase to her death. Hard to watch; yet, this horrific incident compels viewing each time it appears on celluloid. 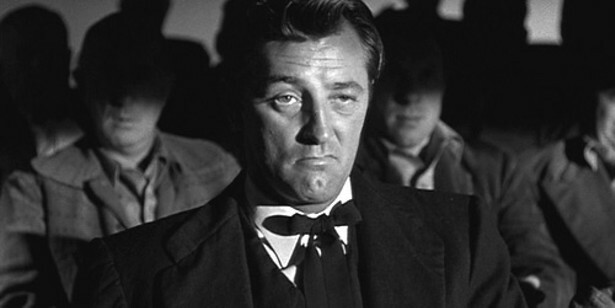 ~ REVEREND HARRY POWELL / THE NIGHT OF THE HUNTER – Bob Mitchum’s signature role; it led to him to be cast in such movies as Cape Fear. Directed by Charles Laughton, the film is ahead of its time in presenting horror in human form; Powell is a male black widow who uses gullibility and revivalism to conduct murder just for the chance to obtain money. This flick influenced later work, including Elmer Gantry (for its cynicism); To Kill a Mockingbird (for its atmosphere); and Psycho (for sheer horror). Shelly Winters is the visual victim played in a backdrop of triangulation based on the production sets of The Cabinet of Dr. Caligari. Lilian Gish is the heroine that puts religion on its purest path. Audiences stayed away in 1955; they find this a unabashed classic in 2017. ~ NORMAN BATES / PSYCHO – Alfred Hitchcock spent a lifetime searching for the perfect human monster. Anthony Perkins personifies Hitch’s screen villainy. He would be typecast for the rest of his career. Psychologists debate reasons why Norman would act so efficiently as a killing machine; mental instability at the core of any discussion. The modern horror was born in 1960 with the shower scene. 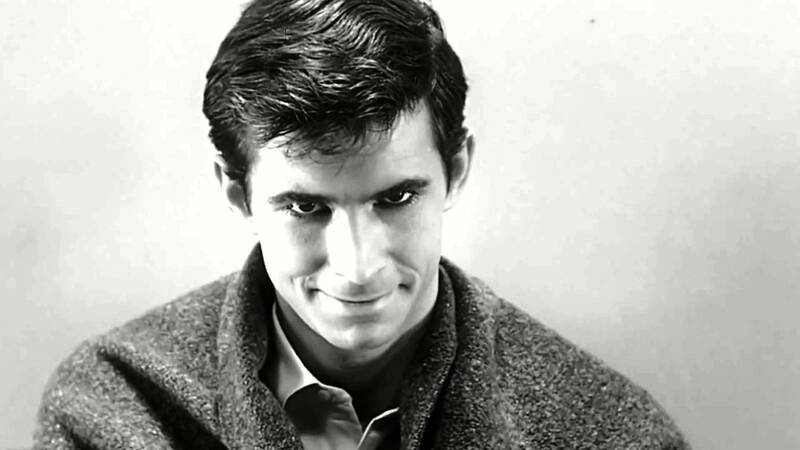 In fact, actual serial killers bare striking resemblances to the apparent normalcy of Norman Bates. Hitchcock struck a chilling chord that resonates to this day. Even a new documentary analyzes the entire shower scene; need I say more? “`Sleep well, tonight… and, set your moral compass! This entry was posted on Saturday, October 21st, 2017 at 12:14 am	and is filed under Blog by Manny Pacheco. You can follow any comments to this post through the RSS 2.0 feed. Responses are currently closed, but you can trackback from your own site.